The ORF Vienna Radio Symphony Orchestra is a top orchestra of world renown; it defines itself in the Vienna orchestral tradition. Marin Alsop has been appointed as new Chief Conductor from the 1st of September 2019. The Vienna RSO is known for its exceptional, bold programming. By combining nineteenth-century repertoire with contemporary pieces and rarely performed works of other periods, the programming often places Romantic era classics in unexpected contexts. All Vienna RSO performances are broadcast on the radio, particularly on the Österreich 1 station, but also internationally. Moreover, it has been possible to hear each and every RSO concert across the globe on the internet for one week after the initial broadcast. Through its growing presence on European television, as well as its collaboration with the FM4 young people’s station, the Vienna RSO is constantly reaching out to new music lovers. Approximately 700 fans support the »Friends of the RSO« association. The Vienna RSO regularly performs in two subscription series in Vienna, in the Musikverein and the Konzerthaus. In addition, it appears every year at major Austrian and international festivals. 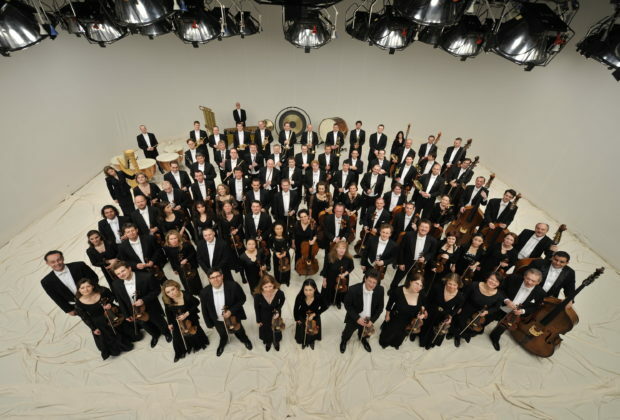 The orchestra has close ties to the Salzburg Festival, musikprotokoll im steierischen herbst and Wien Modern. Tours to Japan and China are a regular part of the Vienna RSO schedule as well. The orchestra has also recently played concerts in Thailand and Taiwan as well as the USA, South America and Germany. Since 2007, the Vienna RSO has successfully collaborated with the Theater an der Wien, thereby gaining an excellent reputation as an opera orchestra. Yet the Vienna RSO is also entirely at home in the film music genre. Every year, the orchestra is conducted by composers who have won an Oscar for Best Achievement in Music Written for Motion Pictures at the »Hollywood in Vienna« Gala. The Orchestra recorded the soundtrack for »Measuring the World« in 2012 and for Händl Klaus’s Berlinale-winning film »Kater« and Ruth Beckermann’s »Die Geträumten« in 2016. The Vienna RSO has been conducted by numerous exceptional conductors, as well as by composers such as Luciano Berio, Friedrich Cerha, Peter Eötvös, Hans Werner Henze, Ernst Krenek, Bruno Madera and Krzysztof Penderecki. Internationally renowned soloists who make regular appearances with the Vienna RSO include Khatia Buniatishvili, Renaud and Gautier Capuçon, Martin Grubinger, Hilary Hahn, Patricia Kopachinskaya, Gidon Kremer, Lang Lang, Sabine Meyer, Gabriela Montero, Anna Netrebko, Heinrich Schiff and Christian Tetzlaff. The broad scope of the Vienna RSO’s recording activities includes works in every genre, among them many first recordings that represent modern Austrian classicists and contemporary Austrian composers. In 2012 and 2016 two CD sets »my RSO I« and »my RSO II« with twenty-four and twelve CDs were released. In 2018 the Vienna RSO won the renowned ICMA in the category »Symphonic Music« for its 3-CD-set »Martinů: The Symphonies«. The Vienna RSO has also launched a broad-based educational programme, comprising workshops for children and young people. In 2013 the educational project »My RSO – Greatest Hits for Contemporary Orchestra« was awarded the Bank Austria Kunstpreis.